Our brains have two systems for decision making: One is fast and automatic, driven by emotion; the other is a slow and deliberate, if sometimes impractical, check on the first. 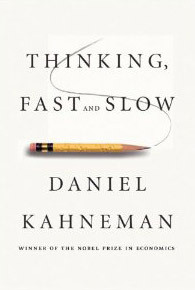 This engaging book, a culmination of years of work in behavioral psychology that earned Daniel Kahneman the 2002 Nobel Memorial Prize in economics, examines the interplay between these systems to explain why, for instance, we vote for attractive politicians and tend to be overconfident in our ability to predict the stock market. “The issue of which of the two selves matters more is not a question only for philosophers,” Kahneman writes. It has real-life implications for politics and public policy. Book Review: Can Israel Survive?